Hey Kindle owners, know someone who would enjoy reading Frankenweenie on a Kindle? 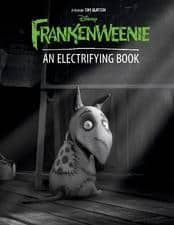 You can download Frankenweenie for FREE from the Apple Store! This FREE Kindle eBook has fun interactive features that are enjoyable for kids and adults. This book provides an inside look on the making of the film, Frankenweenie! This FREE book takes you through the steps from the basic initial Frankenweenie drawings all the way through to the production of the film! This freebie book download is just in time to help you start planning your spring and summer gardening. Click here to download the Kindle eBook Organic Gardening for free on Amazon! Organic Gardening details exactly how to grow your own fruits and vegetables. 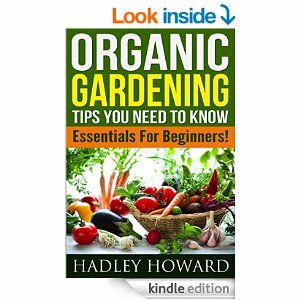 The author, Hadley Howard, explains how easy organic gardening can be and how gardening can save you money too. Typically, this eBook costs $2.99. But today, it’s free! Ebook reminder: This book is currently free to download from Amazon at time I posted it (January 27th, 2015). Remember to check the price before ‘purchasing’ with 1-Click. You don’t need a Kindle to read it. You can simply download a free Kindle reading app to your PC, Mac, phone or tablet. You may also be able to read this book on your browser through the Kindle cloud service. Many people purchase a new puppy for Christmas. 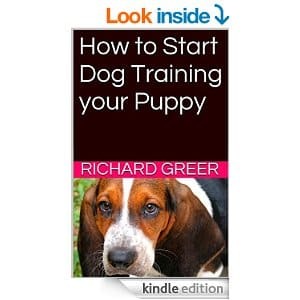 There is this awesome free Kindle eBook How to Start Dog Training your Puppy available today on the Amazon freebie page. This should help in your new adventure of dog training. This book is available for a limited time for free! It usually costs $0.99! Ebook reminder: This book was free at time of posting (Dec. 23rd, 2014 at 12.00 pm est). Remember to check the price before hitting the 1-Click button. You don’t need a Kindle device to read this book. You can download a free Kindle reading app to your PC, Mac, phone or tablet. You may also be able to read this book on your browser through the Kindle cloud service. Isn’t the Nutribullet so super popular right now? If you’ve bought in to this system, you really should check out cookbooks for recipes and tips. 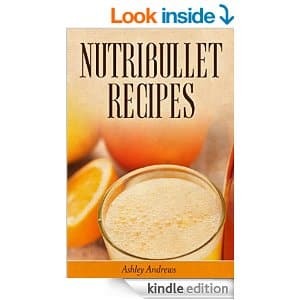 Today on Amazon.com, you can pick up this free Kindle eBook Nutribullet Recipes. This book is typically $9.99 but FREE today. Download your free cookbook today, this deal won’t last long. Ebook reminder: This book was free at time of posting (November 13th, 2014 at 12.30 pm est). You should check the price before hitting the 1-Click button. You don’t need a Kindle device to read this book. You can download a free Kindle reading app to your PC, Mac, phone or tablet. You may also be able to read this book on your browser through the Kindle cloud service. This one is just in time for Christmas! It’s the cookie baking season. 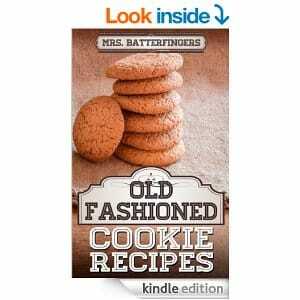 Today, you will have the chance today to download the free Kindle eBook Mrs Batterfingers Old Fashioned Cookie Recipes for free from the Amazon.com eBook market. This book usually costs $1.99. However, today it is free. This freebie most likely won’t last too much longer. So, make sure you download it today! Ebook reminder: This book was free at time of posting (Nov. 12th, 2014). Remember to check the price before hitting the 1-Click button. You don’t need a Kindle device to read this book. You can download a free Kindle reading app to your PC, Mac, phone or tablet. You may also be able to read this book on your browser through the Kindle cloud service. Today, you can download the free Kindle eBook Slow Cooker Recipes directly on Amazon’s site. As mentioned, this cookbook is 100% free to download on Amazon right now. It typically costs $2.99, but today it is free. With this free Kindle eBook, you will learn the beauty of cooking using only your crock pot or slow cooker. 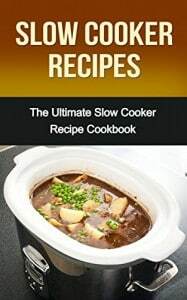 The cookbook even explains how to make fast meals using your slow cooker along with other practical cooking tips. Ebook reminder: This book was free at time of posting (November 3rd, 2014). Remember to always check that price before clicking on the 1-Click button. You don’t need a Kindle reader to read the eBook. You can download a free Kindle reading app to your PC, Mac, phone or tablet. You can also read the book using your browser through the Kindle cloud service. Time for another free book, everyone! You can download a copy of the free Kindle eBook Addition & Subtraction for free right now only on Amazon! 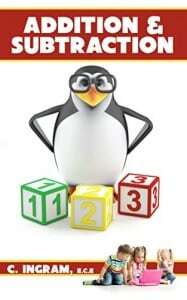 This ebook will introduce and reinforce the basic concepts of adding and subtracting to your children. Your child can engage in problem solving in an easy, fun way. This book typically costs $2.99 but you can download it for free today! eBook reminder: This book was free at time we posted (October 30th, 2014). In the past, Amazon has pulled the free deal not long after we released our post. So, make sure you check the price before hitting the 1-Click button. You don’t need a Kindle device to read the book. You can download a free Kindle reading app to your PC, Mac, phone or tablet. You should also have the option to read the book on your web browser through the Kindle cloud service. 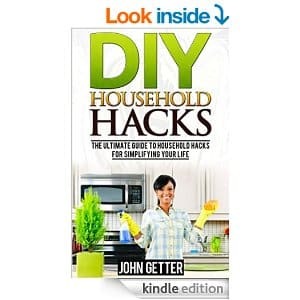 Today you can download the free Kindle eBook DIY Household Hacks for free on the Amazon.com market! This commercial Kindle book typically costs $0.99 but you can download for free today! The book details how to simplify your life. It also teaches readers how to have fun while decorating their home and how to spend less money without cutting creativity/quality of a project. This ebook won’t be free for long, so download it right away if you’re interested. eBook reminder: This book was free at time this article was posted (October 21st, 2014) You should always check the price before clicking the 1-Click button. You don’t need a Kindle device to read this book. You can download a free Kindle reading app to your PC, Mac, phone or tablet. You may also be able to read this book on your browser through the Kindle cloud service. 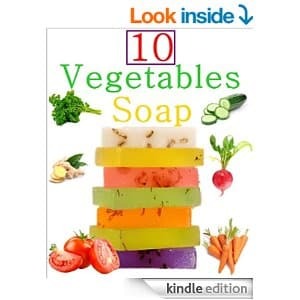 Today you can download the free Kindle eBook 10 Easy Homemade Vegatable Soap Recipes absolutely free on Amazon.com! This book showcases the basics behind making homemade vegetables soap recipes using a few, easy to find natural ingredients. You can add scents or essential oils to each recipe for scent. The normal price doesn’t cost much at $.99. But, every little bit helps. And, hey, who doesn’t love free? eBook reminder: At the time of this posting (October 17, 2014), Amazon ran this book 100% free of charge. Make sure you always check the price before pressing the 1-Click button. You don’t have to own a Kindle device to read the book. You can download a free Kindle reading app to your PC, Mac, phone or tablet. You may also be able to read this book through your browser using the Kindle cloud service.